On to Part 3! Be sure to check out Part 1 and Part 2! I think I wore this color at least 5 times this past summer. This periwinkle blue with the light blue glass fleck is beautiful. This was definitely my all time favorite color this past summer. I could gush on and on, but you get my point. I ♥ Smooth Sailing. Check out my full review. I love this pink! 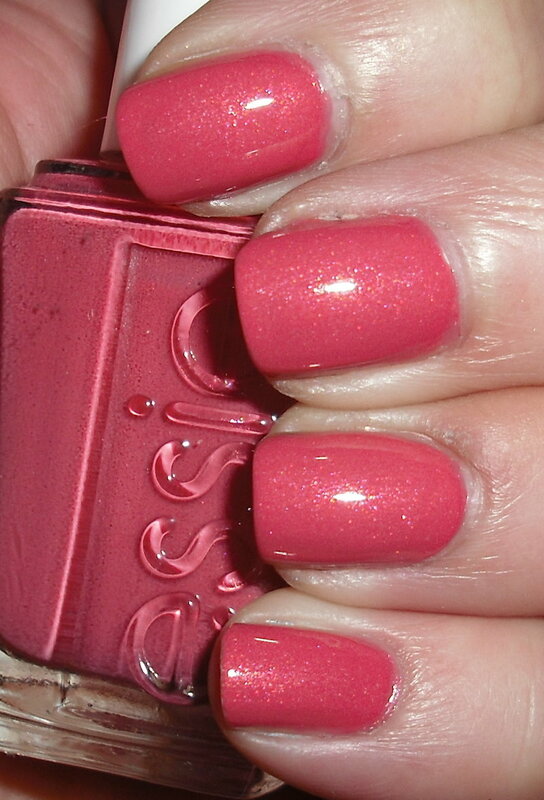 This is a warm bubblegum pink with a pink shimmer. This is another color that suprirsed me this year. I do like pinks, but it's rare to find a pink that really wows me. It really is a nice varation from the pale or neon pinks you typically see. Usually medium pinks can be a bit granny or dull, but this is not either. Check out my full review. I'm a big fan of soft purples in spring and summer. I have a huge stash of lavenders. What I love about this is that it's a soft purple, but it's not the typical lavender or lilac. This is a lovely muted orchid creme. Check out my full review. This polish shocked me. I think the last year has been pretty lack-luster as far as Maybelline polishes go. This was just the opposite. I'm used to seeing "been there done that" shades from this brand, but this color is completely unique. I do not own any other shade like it. The grayed out base with the bright teal shimmer is stunning. Check out my full review. 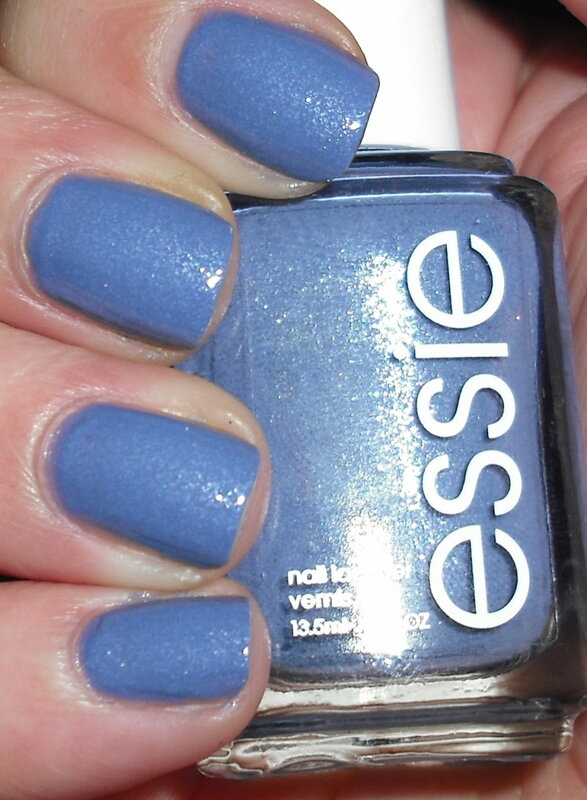 There were many variations of this shade this year, but this one after much deliberation is my favorite. I love the rosy purple paired with the intense gold shimmer. I'm sure you're shocked that I love something with gold shimmer! Check out my full review. Be sure to check out Part 4 tomorrow! Your Hut or Mine is so pretty, I need to hunt for that shade. Great picks! That teal one looks so pretty!! Smooth Sailing and Cool Couture were two of my favorites this year as well...Cool Couture def surprised me too for a Maybelline shade. It's My Year is STUNNING! Smooth Sailing and Heavenly Hydrangea were contenders for me too! Great post. Smooth Sailing is so gorgeous!!! I could go on and on about that one too. *LOVE* :D Your Hut or Mine surprised me too - it's such a beauty and I have nothing else quite like it. The shimmer is so pretty! I love all of these actually - Heavenly Hydrangeas was my favorite from Palette of Petals, Cool Couture was easily Maybelline's best polish this year, and It's My Year (and it's friends) is such a sparkly beauty! Awesome picks! Smooth Sailing would be in my top picks if I would've actually worn it...sitting in my untrieds. 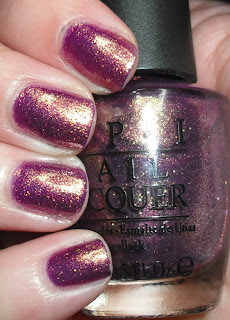 I forgot all about Cool Couture...I love, love, love that polish! Loving your picks Steph! I am all over heads and heals about the 2 Essies here. I even bought back up bottles for each when they came out. Thanks! I have seen Smooth Sailing at Ulta recently. You may be able to still get them! I know, I was shocked by Cool Couture! I hope Maybelline has more surprises like that in 2012. Thanks! I could go on and on about Smooth Sailing too. It is awesome! I'm glad we share similar thoughts on this year's polishes! Thanks! You need to wear it! It will look great on you. I need to find back ups of them. They really are great Essies! Smooth Sailing is soooo pretty! I just got one for Christmas :D It's also my first glass flecked polish, I'm so excited! !